Verb Ballets welcomes new dancers and trainees to the company for the 2018-19 season. The group of four new dancers hail from all over the country. We are also pleased to announce company promotions for the season. Meet them below. 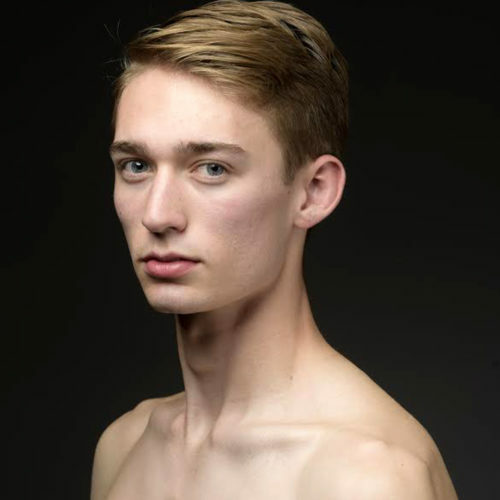 Benjamin Shepard began dancing in Annapolis, Maryland and trained with Ballet Theater of Maryland, as well as attending summer programs at The Washington School of Ballet, The Kirov Academy, and Central Pennsylvania Youth Ballet. He then continued his training and education on a full tuition scholarship at Butler University where he graduated with a Bachelor of Science in Arts Administration and Dance. He had the privilege of performing as a guest artist during his time at Butler with Ballet Theater of Indiana; he performed the role of Gurn in La Sylphide as well as Dr. Seward in Dracula. While performing with Butler Ballet, his favorite roles he performed were Rothbart in Swan Lake, The Flower Cavalier in the Nutcracker, a soloist in Viva Vivaldi by Gerald Arpino, and the Second Movement Soloist in George Balanchine’s The Four Temperaments. Benjamin joined Verb Ballets in 2018. 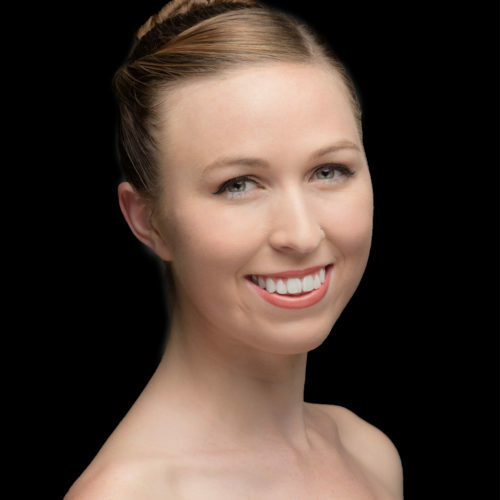 Emily Dietz grew up in Mountain View, California, receiving most of her training at Western Ballet under Alexi Zubiria. She attended summer programs with ABT, Gelsey Kirkland Academy of Classical Ballet, Colorado Ballet, and American Repertory Ballet. She continued her dance education at Butler University, graduating with a BS in Dance Arts Administration in 2016. During her time at Butler, she performed in ballets such as Sleeping Beauty and Swan Lake and toured with Butler Ballet to Poland, Slovakia and the Czech Republic. Following graduation, she has danced professionally with City Ballet of San Diego and American Contemporary Ballet, where she danced in repertoire such as Betsey Wistrich’s Raymonda, Balanchine’s La Source, and Geoff Gonzalez’s Four Seasons. Emily joined Verb Ballets in 2018. Daniel Cho is from San Francisco, California, and holds a BA special major in Dance and Education from Swarthmore College. He received his training from Point Park Conservatory, the Laban Conservatoire in London, the Ballet X Summer Intensive, the San Francisco Conservatory of Dance and the Coastal City Ballet in Vancouver, British Columbia. Daniel is a recent graduate of the Alonzo King LINES Ballet Training Program, where he had the pleasure of performing works by Alonzo King, Angela Dice Nguyen, Sidra Bell, Shannon Gillen, Alex Ketley, Gioconda Barbuto, Maurya Kerr, and Gregory Dawson. He is thrilled to be joining Verb Ballets as an apprentice for the 2018-19 season. Lexy Lattimore is a Massachusetts native. She began training with Judith Keochoven at the Academy of Ballet Arts. 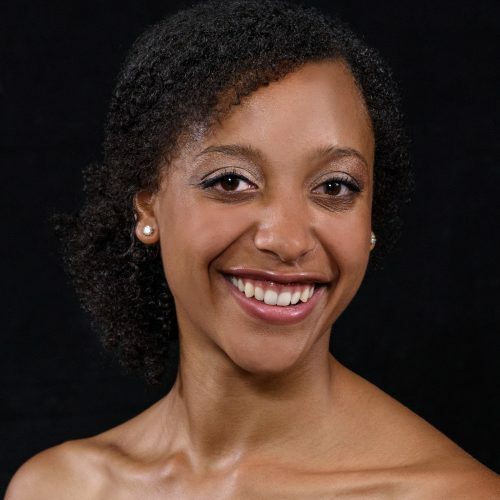 In 2010, Lexy matriculated to Duke University, where she worked with choreographers such as Andrea Woods (Bill T. Jones/Arnie Zane Dance Company), Tony Johnson (American Dance Festival), Julie and Tyler Walters (Joffrey Ballet), and Reggie Wilson (Fist and Heel). She choreographed her own works, most notably for the 50th Anniversary of Black Students at Duke. She produced a full-length show, “A People to Believe In,” with residents of a historically black neighborhood in North Carolina. After graduating, Lexy joined SundanceX, a contemporary ballet company in Boston. In 2016, she moved to New York City where she continued to train with choreographers like Kyle Abraham, Milton Meyers, Nathan Trice, and at the Martha Graham School. Lexy began training with Verb Ballets in 2017 and has performed in an original work by Dianne McIntyre. 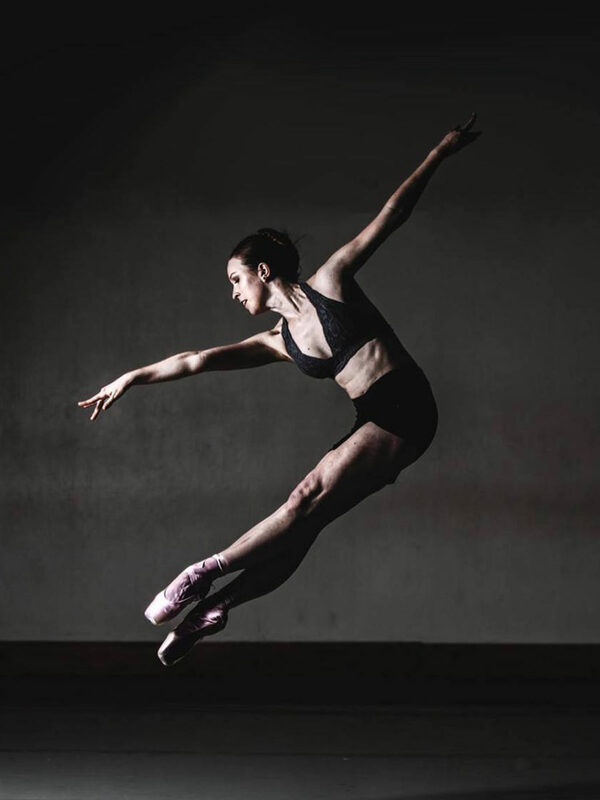 Natalie Hollopeter, native of Akron, Ohio, has studied ballet for 13 years and is a recent graduate of Ohio Conservatory of Ballet and Stabrova Youth Ballet Company under the artistic direction of Inna Stabrova and co-founder Dmitriy Tuboltsev. Natalie won 1st place at the 2017 NSAL Classical Ballet: En Pointe regional competition and was a national finalist. For the past two years she performed as a featured dancer in ensembles at YAGP that were invited to NY Finals. 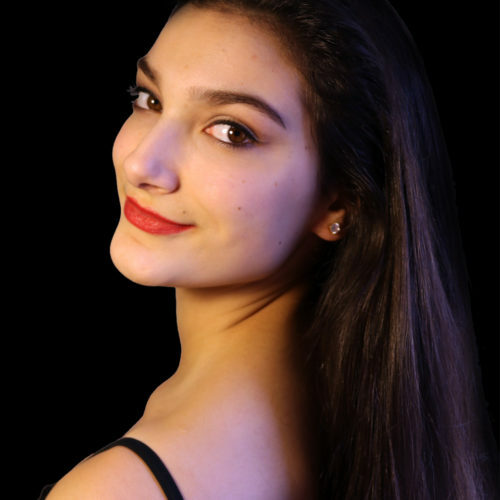 Her summer intensives include American Ballet Theatre – NYC, where she danced the role of Queen Myrtha, Giselle, Bolshoi Ballet Academy – NYC, Ohio Conservatory of Ballet on full scholarship and Pittsburgh Ballet Theatre’s “Company Experience” workshop. At age 13, Natalie danced in college-credited performances as a member of the University of Akron Dance Company and enjoyed opening for the Heinz Poll Summer Dance Festival through the University of Akron Dance Institute. Natalie performed for the first time with Verb Ballets in 2016. She is delighted to join Verb Ballets as a trainee for the 2018-2019 season as she finishes her senior year of high school as a post-secondary University of Akron student. Benjamin Shepard, a recent graduate of Butler University joins Verb Ballets as a company member for the season. He began studying with Ballet Theater of Maryland, as well as attending summer programs at The Washington School of Ballet, The Kirov Academy and Central Pennsylvania Youth Ballet. He had the privilege of performing as a guest artist with Ballet Theater of Indiana. Emily Dietz has joined Verb Ballets as a company member for the season. Originally from California she trained at Western Ballet and attended summer programs with American Ballet Theatre, Gelsey Kirkland Academy of Classical Ballet, Colorado Ballet, and American Repertory Ballet. A graduate of Butler University, she went on to dance with City Ballet of San Diego and American Contemporary Ballet. From San Francisco Verb Ballets welcomes Daniel Cho. He is a graduate of Alonzo King LINES Ballet Training Program and Swarthmore College. He received his training from Point Park Conservatory, the Laban Conservatoire in London, the Ballet X Summer Intensive, the San Francisco Conservatory of Dance and the Coastal City Ballet. Cho has joined Verb Ballets as an apprentice for the 2018-19 season. Verb Ballet welcomes Natalie Ilona Hollopeter to the Trainee Program. She is from Akron and is a recent graduate of the Ohio Conservatory of Ballet under the artistic direction of Inna Stabrova. Hollopeter won first place in the regional The National Society of Arts and Letters for Classical Ballet: En Pointe and was a national finalist. She is finishing her senior year of high school as a post-secondary University of Akron student. Verb Ballets is pleased to announce the promotion of trainee Lexy Lattimore to apprentice for the season. Lexy Lattimore is from Massachusetts and began training at the Academy of Ballet Arts. Lattimore attended Duke University and has danced with SundanceX in Boston. This is Lattimore’s second season with Verb Ballets.